Marco Borges’ diet plan in The 22-Day Revolution is laid out in a very precise manner. Instead of a general recipe section, it’s laid out with recipes for each day, which have been formulated to work with each other to deliver the right nutrients at the right times. This is what appealed to me right away – I wanted a rigid plan I had to stick to, because too much choice for me sometimes leads me very much astray! So, day one consisted of banana (and blueberries – but I didn’t have any!) on top of oats cooked in almond milk, followed by quinoa on spinach topped with lentils and carrots (I subbed lettuce for spinach and carrots for courgette and tomato – same grocery issue! 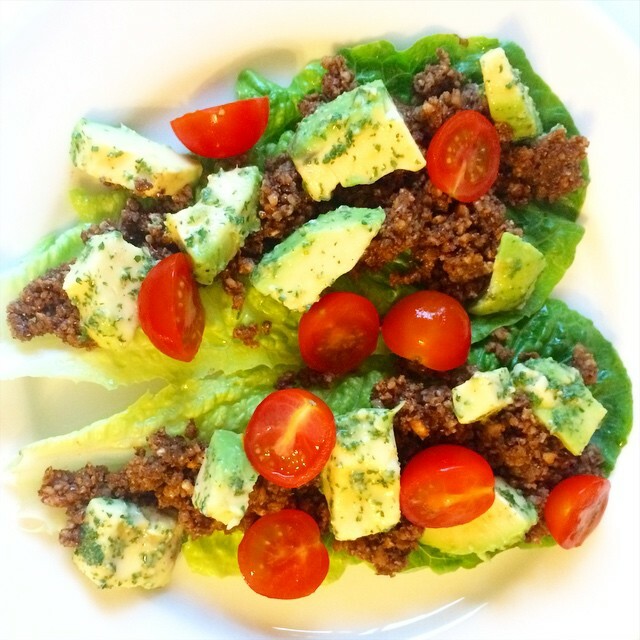 ), then raw walnut tacos for dinner. A couple of things rang alarm bells in my mind to start off with. Firstly, the serving sizes are very elusive. Some recipes will clearly tell you when they serve more than one person, whereas others mention it at the end of the recipe, or not at all. This leads into my second issue – the calorie counts. I am a firm believer in calories in, calories out – or, the principle that to lose weight you must create a deficit, and in order to lose a lot of weight, that deficit must be substantial. Because the accepted wisdom is that each pound of weight is the equivalent of 3500 calories, you’re told to reduce your calorie intake by 500 calories a day to lose a pound a week. The 22-Day Revolution does not include any calorie counts, and discourages you from worrying about this completely. This concerns me because healthy eating does not always translate to weight loss. In fact, it is very, very easy to eat a lot of healthy calories without even realising it. And believe me, your body won’t care if these are virtuous calories from a pecan and avocado salad, or naughty calories from a Big Mac. If you eat more than your TDEE (total daily energy expenditure) in a day, that energy gets stored as fat. Couple these two facts together and I worry that some people could follow this diet religiously and overeat, and even gain weight. There are even anecdotes in the book about portion sizes being too large, so leaving this info out rather sporadically strikes me as a bit of an oversight. This really illustrates the very simple fact that you should always be responsible for what you consume, always second guess things, always check, and always look at labels. Some people might tell you this is scary, difficult, or paranoid. It’s no more so than looking at the cost of an item and comparing it to how much you have in your bank account is before purchasing. You wouldn’t go into a supermarket with a limited budget and then just guess how much everything was without adding it up, would you? With that in mind, I started added up the calories for the walnut tacos for this evening’s meal – and, there are no serving sizes indicated here. Just the first item, 225g of walnuts, are 1472 calories. PLEASE do not do this diet without carefully considering portion sizes, and checking both the calories and online chatter about the recipes. I hope in future editions of the book that the portion sizes are more clearly marked, because I’ve seen advice online on the company’s Facebook page that the walnut tacos are to serve 2-4 people. This puts the calorie count for the meal at anywhere from 450-849 calories. If you ate the whole thing by yourself, you’d be eating over 1700 calories in that meal alone. Similarly, the lunch portions for the Quinoa Salad With Lentils seemed pretty big to me, so I halved the recipe. One entire serving of that meal tops at over 1000 calories, and even half (I’ve got it logged as 555 calories) is WAY more than I would ever eat for a lunch. But Marco suggests that eating heavy complex carbs is better during the day, as if you eat them later in the night, it prevents your body from losing fat overnight. Usually at this point my woo-meter would be going off like crazy, but I know the research about carbs and when best to eat them is completely up in the air. 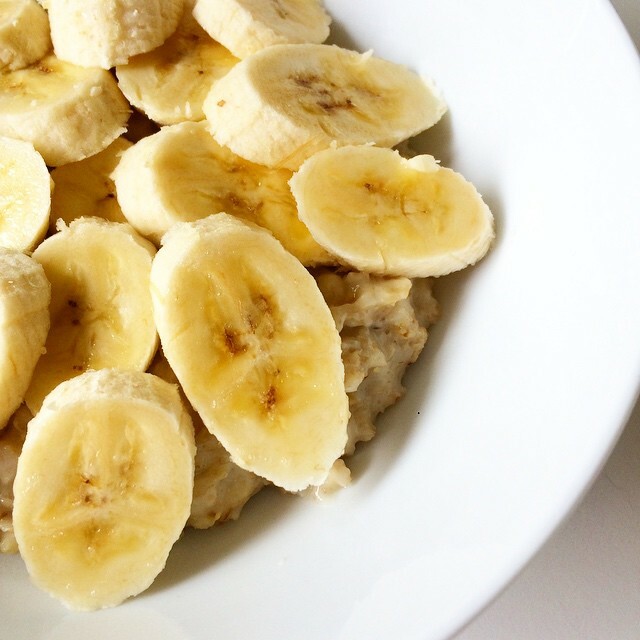 So, for today, the breakfast of banana topped oats (no blueberries, remember) was 325 calories. It was pretty standard fare for me – although I usually add either honey or maple syrup to my porridge in the morning. 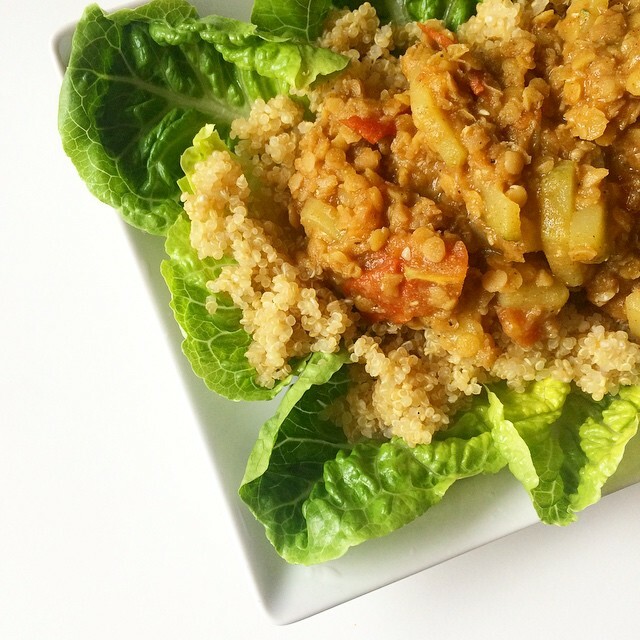 Lunch was 555 calories – but I used half the quinoa and a quarter of the lentils, plus subbed some of the veg. (Full disclosure – I did not particularly enjoy the lunch.) Dinner was 659 calories, which used a third of the taco meat – although I didn’t eat all of it. I’d say a quarter serving of the taco meat is plenty for anyone!The full calorie count for me was 1539, although if you want to get a proper count you will need to log the food yourself, depending on what you use, substitute, and how much your produce weighs. My verdict on those raw walnut tacos? Delicious! So, so delicious. I served them to my husband and told him it was walnut salad – because if you’re fairly unadventurous and expecting tacos and someone gives you lettuce cups with mashed nuts in them, you’re bound to be disappointed. He thought it was delicious and was pleasantly surprised. He had no other comment than ‘it looks nice and healthy’. The combination of walnuts, soy sauce (not coconut aminos as in the recipe – see tomorrow’s post!) and balsamic vinegar is absolutely lush. So far, so good! I’m starting to wonder if the juices are double portions too! The calories aren’t high but they make two big glasses! Thank you so much for taking the time to post about each day. I too am questioning the portion sizes and ate half of day 1’s lunch! Tks for letting us know how your journey went.